You walk into a dental office and what do you see? I bet that most of the time, you see the name of a male dentist on the door, around age 50, and all-female support staff inside: female receptionists, female dental assistants, female dental hygienists, etc. Whatever the reason, the fact is that a dental office is a man’s world. I have even heard male dental students having dreams of running their own string of dental offices and coming in a couple times a week to check on “the ladies.” And I don't blame them. It’s engrained, evolutionarily speaking. Even I, as a female, have thoughts of how cool it would be to have an office filled with men I control. Human nature. But imagine being a 26-year-old female entrepreneur, trying to tell well-established 50-year-old male dentists that you have a plan to change their industry. Those beautiful souls who are truly open minded to listen to you are slim pickings, my friend. You remind them of their rebellious teenage daughter, their younger sister, one of those rude millennial Groupon patients, a door to door make-up saleswoman, or a detached Ivy league snob who thinks she is a know it all. Either one isn’t great. Good luck on the sell. Personally, none of that really phases me. Being an odd ball gets me the conversations in the first place. Weird situations are to be entirely expected and prepared for. You are kidding yourself if you think they are outrageous or once in a lifetime. 1) BRING OUT THE PANT SUIT. Silicon Valley entrepreneurs do not wear suits. They get made fun of if they do. But you are not in Silicon Valley and that culture does not exist in healthcare yet. So, you cannot look like this is a normal day at the computer. Minimum professional dress is slacks and a belted cardigan. Dark blue/black/white/gray. Throwing in a collared shirt is a good step up, even if no jacket. Be taken seriously. 2) SLOW DOWN AND MAINTAIN YOUR POKER FACE. You are going to get questions about risk, more so than vision. You are going to get questions on what qualifies you to know anything about this, versus what you have learned along the way. You can boil inside about the state of society all you want, but knowing how to LOOK unphased is a must. How you get there is your personal journey. You can fake it: cognitive behavioral therapy, lasers that zap the capillaries in your face so you can’t blush, a fidget toy under the table, whatever, I have tried it all. The worst you can do is speak faster or match the intensity of the questions coming at you. The worst. If you are getting flustered – pause, breathe, look pensive, say “one moment” and jot down notes on your note pad. Have the self-respect that you talking slowly does not imply you are wasting their time, as the time spent together is an investment. The more deliberate your words versus rambling, the easier to gain trust and increase comprehension. Here’s a big one. Many women refuse to work with people who come on to them. I actually don’t. It means they find you interesting and are willing to bare their emotions, which is much easier to work with than indifference or ambiguity. Egos are very fragile, and so if you want to work with the players, you have to play the game. You can’t out right offend them or ignore what they just said or go on a pedagogical rant about how their daughter would feel if people responded to her in that way. Acknowledge it, smirk, roll your eyes, stare them down, and say that in another life absolutely, but right now you have enough men in your life as well as someone you find special (even if you don’t have any of that). This way you gave a reason to say no they could understand, complimented them back, created some mystery, maintained your power, and can keep going. Obviously if they get aggressive get away, but it’s usually not the case. A shared witty moment goes a long way. It’s certainly harder for us, but it is not impossible. The business landscape is getting better for women, but it is far from perfect. So don’t sulk and wait – adapt, shine, and go reach your potential. A few weeks ago I had a blast talking to Sully Sullivan, DDS, the host and creator of the Millennial Dentist podcast. What an episode we have in store today! If you aren’t living under a rock or neck deep in pathology books (which you might be) then you have probably heard about the new “Floss Bar”. 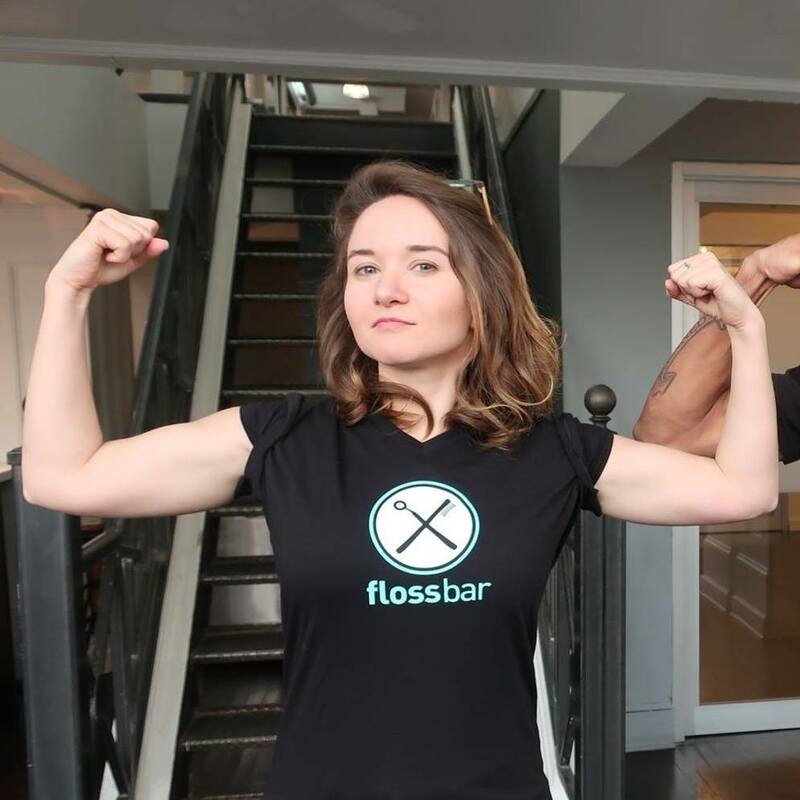 According to their website, “Floss Bar is a lifestyle brand empowering consumers to take back their power in the dental chair. It’s a network of actual dental offices we banded together, all run similarly, working to disrupt the industry by offering choice. ”Those choices are things like having exams, x rays, and other things usually required. So if that doesn’t sound polarizing I don’t know what is. Actually typing that I am kind of wondering when us a dentists took the choice away to begin with. Anyway, this episode is sure to get some attention. I do want to thank Eva Sadej the founder for coming on and talking with us about Floss Bar. It was a very interesting episode and I think she will be very successful. Hopefully, we encouraged to work on a couple things! Watch my latest interview appearance on Dental Town!